We understand, because we listen. The new 4,900 s.f. 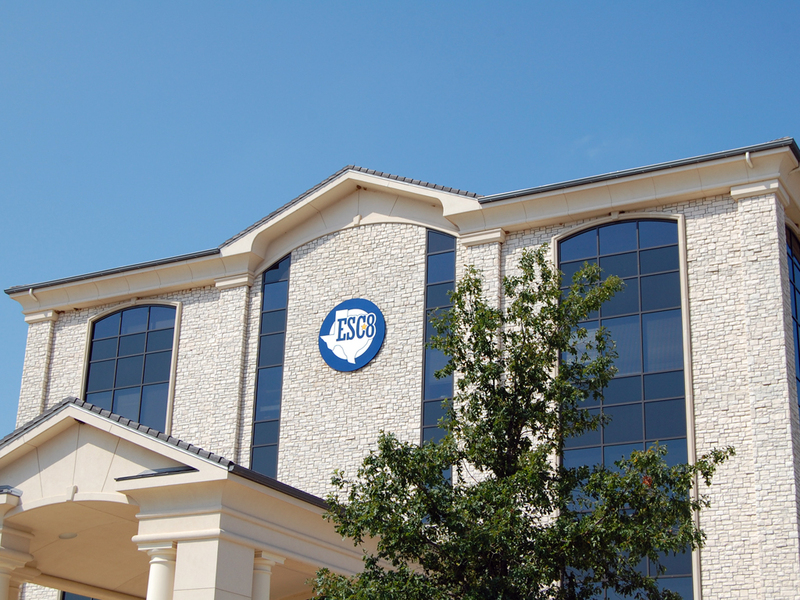 administration building is located at the front of the district campus for easy access to the public. 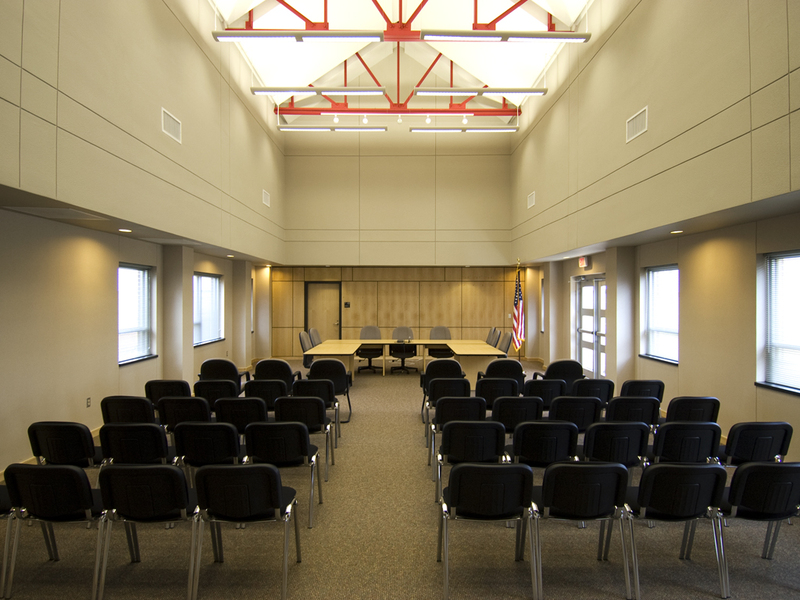 The new administration building consists of district administration offices and a school board assembly room. 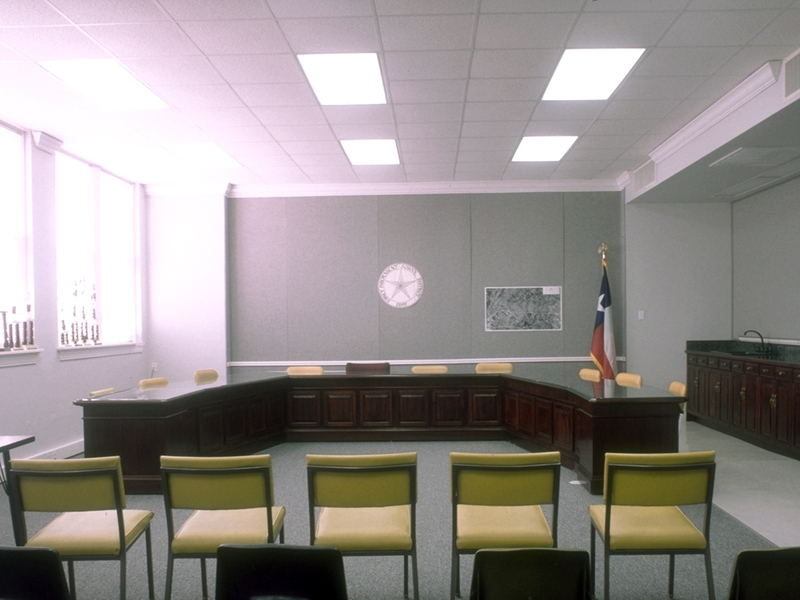 The board room is used for monthly school board meetings and as the main district training location for teachers and administrators. 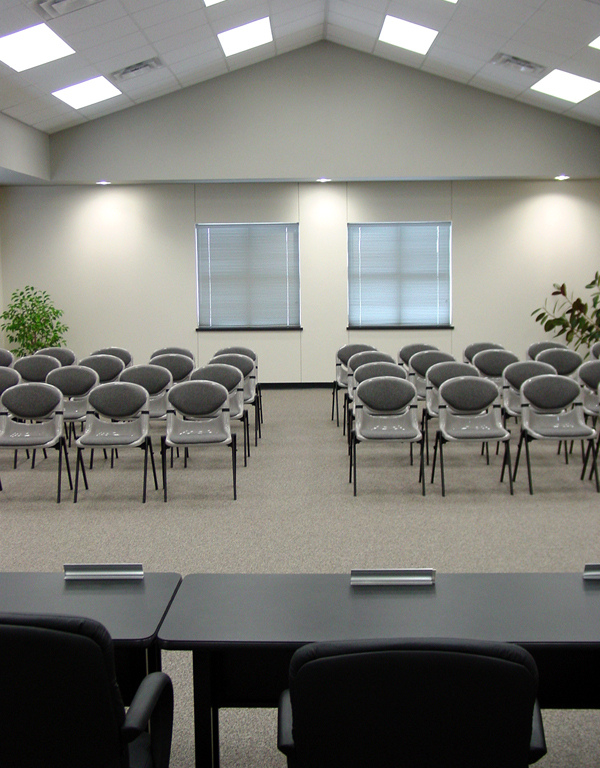 The board room has sloped ceilings and exterior windows to provide a warm and inviting space for meetings and training sessions. 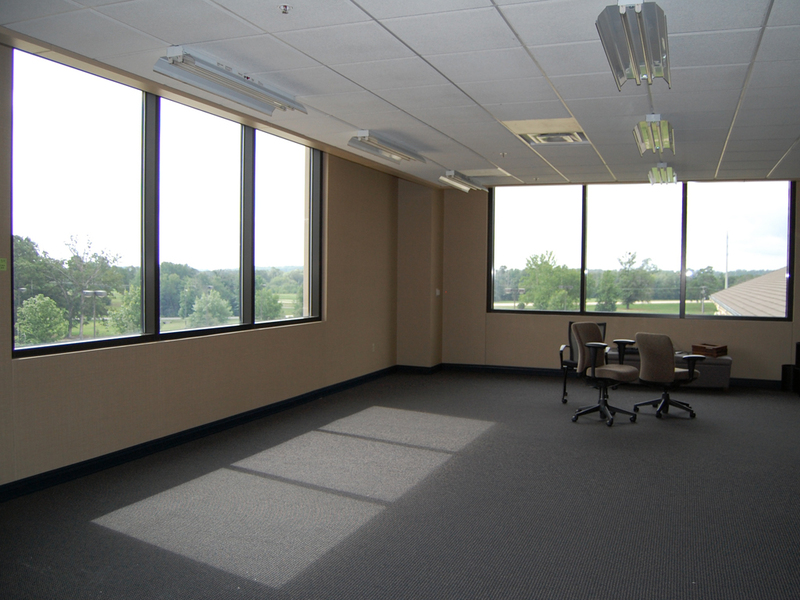 Finishes in the lobby and work room include terrazzo tile floors. 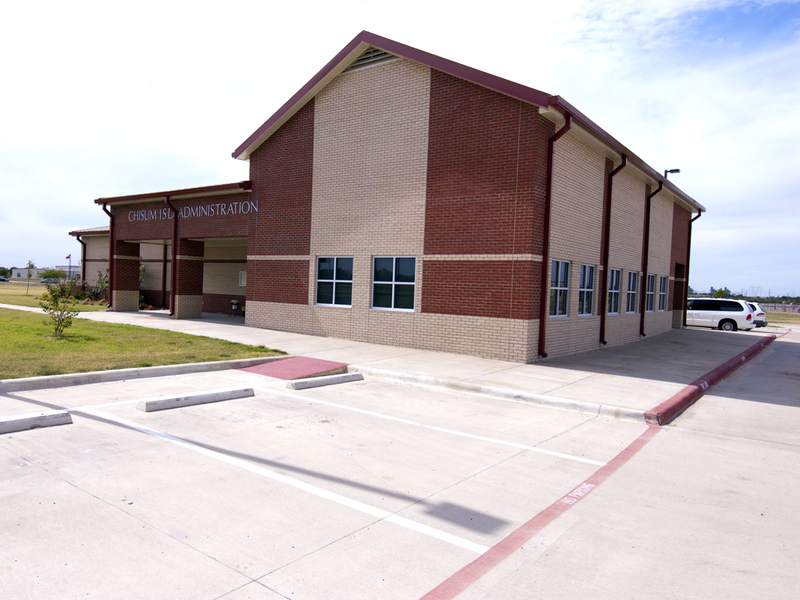 The administration building’s central location provides easy access to the district elementary, middle and high schools. 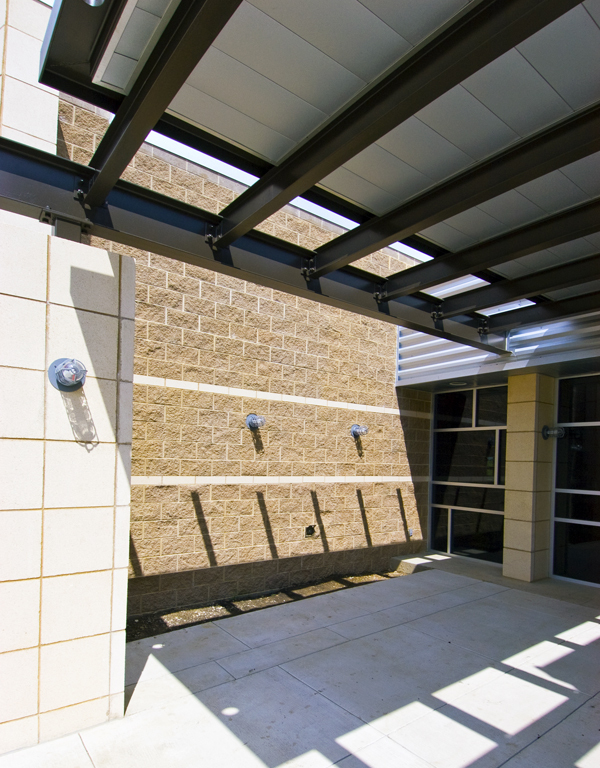 The building was constructed with a crawl space, using elevated grade beams and hollow core concrete planks with a cold formed metal framing system. 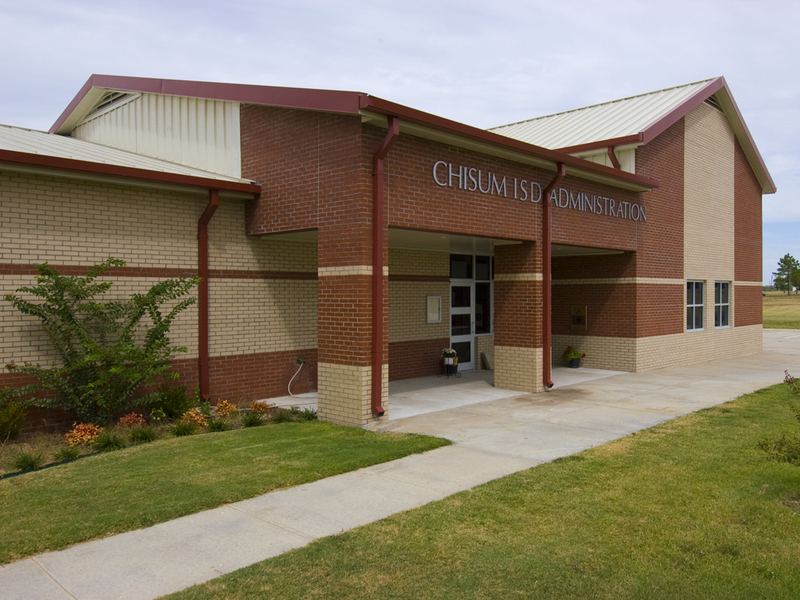 The exterior of the building was designed to resemble the materials and masonry patterning in the existing high school and elementary school. 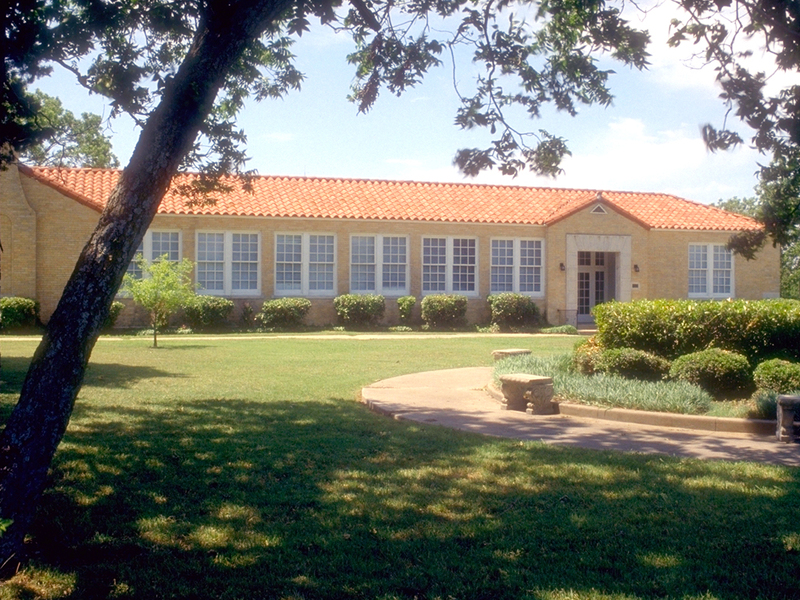 The original facility served as the high school and later the middle school for this community school district. After years of use, the building was closed and fell into disrepair. 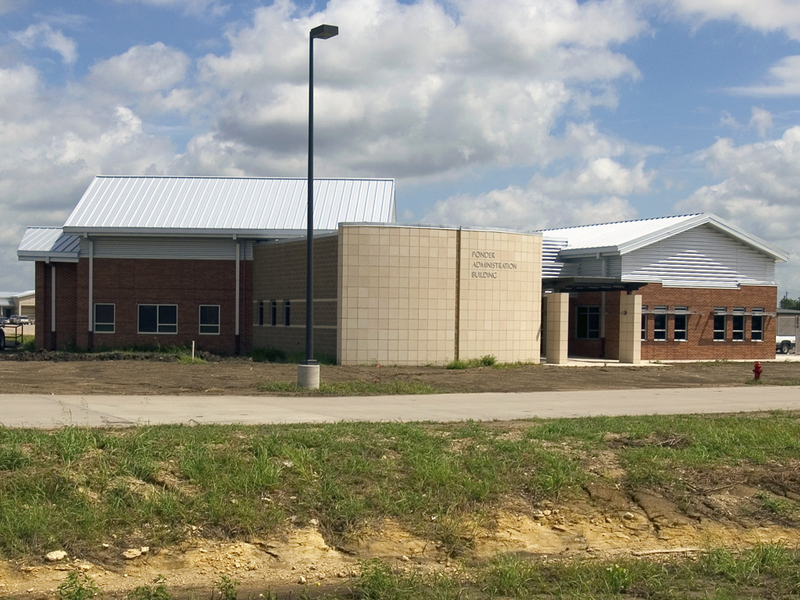 The district elected to undertake a renovation of the building and convert the facility into the district administration building and cooperative education services building for the county. The scope of work included renovation of the existing masonry, wood windows and tile roof. 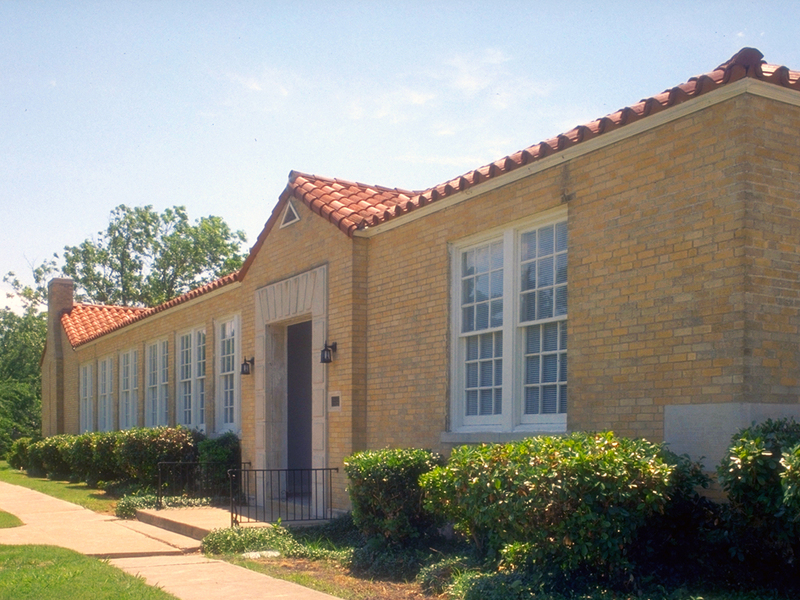 Exterior windows were removed and replaced with custom units to match the existing. The entire exterior masonry veneer was tuckpointed. The existing clay tile roof was removed and stored while the roofing substrate was repaired. The tiles were eventually reinstalled, with the damaged and missing pieces replaced. Ornamental metals on the exterior were refinished as well as the original light fixtures. 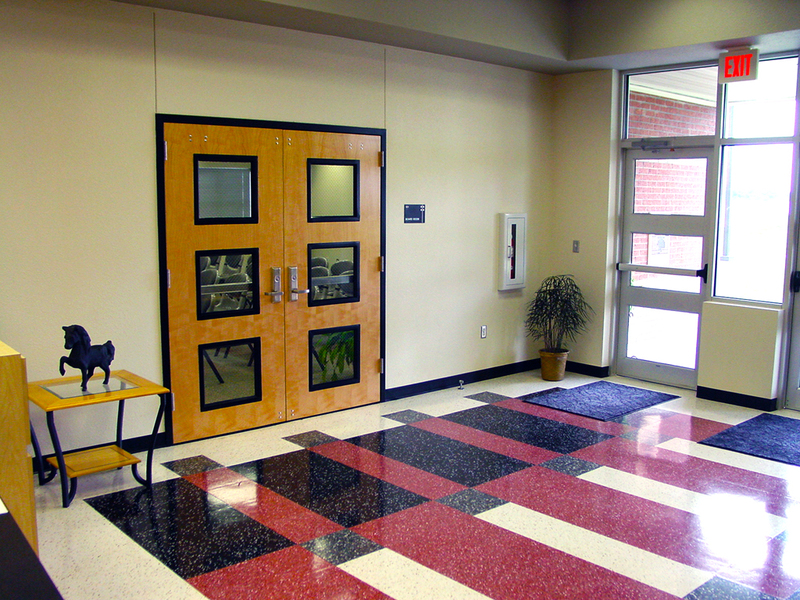 The existing hardwood floors were sanded and refinished on the interior fo the building. 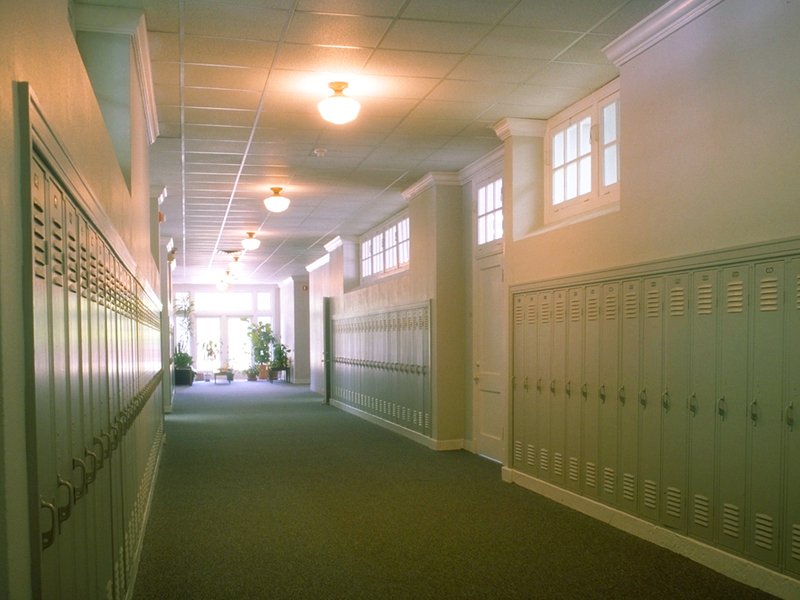 The original lockers, light fixtures, doors and moldings were restored to their original design and level of finish. 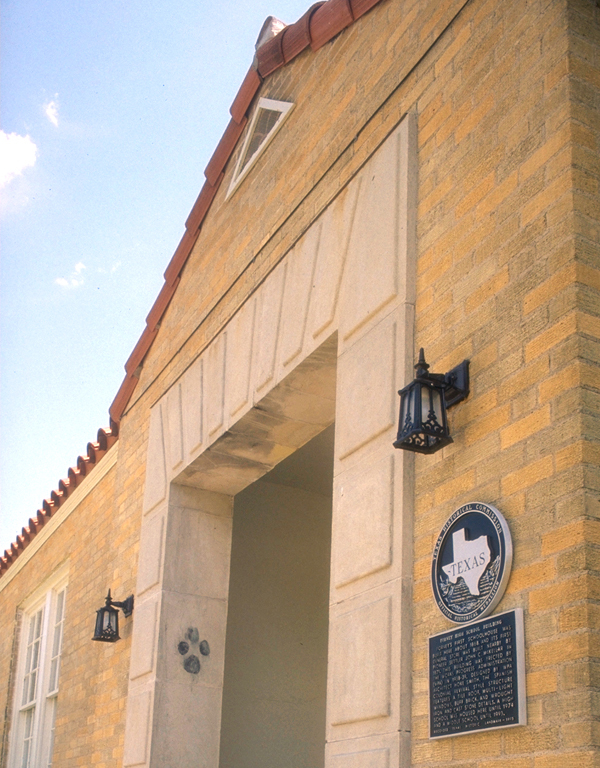 The structure is listed with the State of Texas as having historical significance. 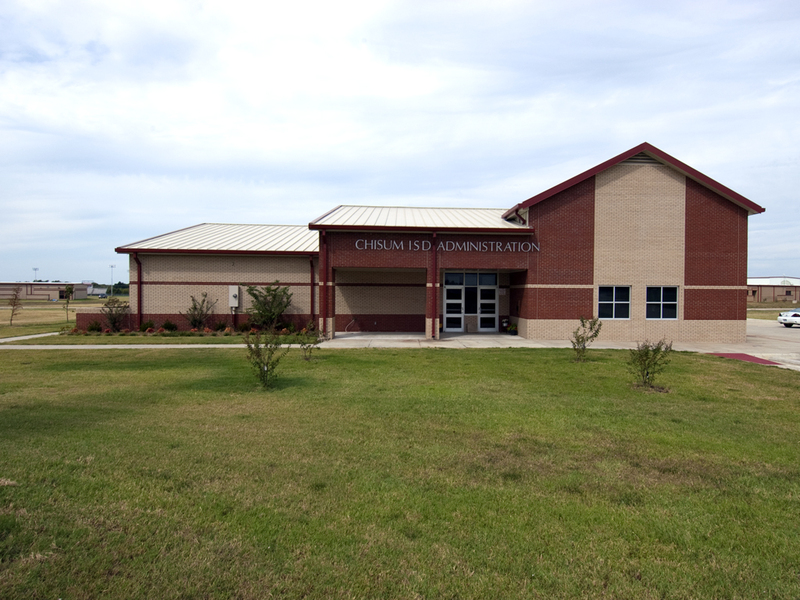 Ponder ISD passed a $16 million bond issue to include a new elementary school, administration building, Vo/Ag show arena, field house and athletic complex. 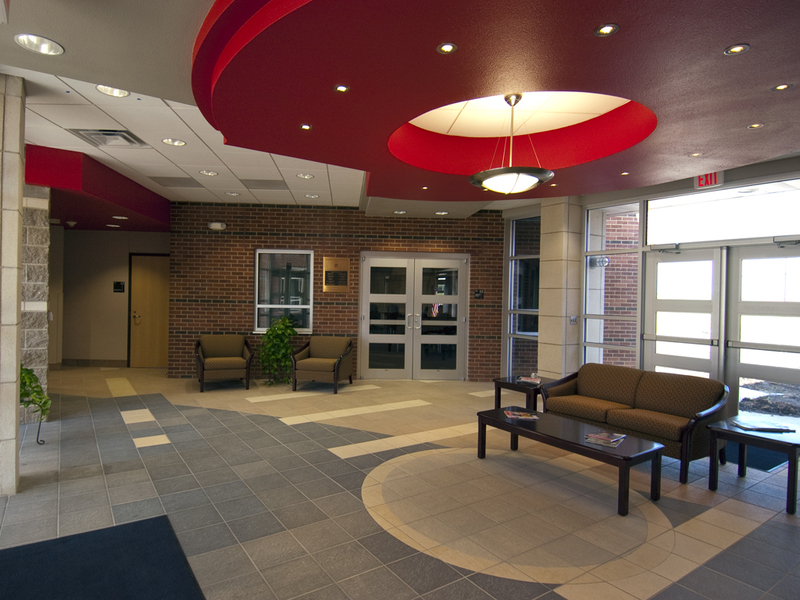 The design of the administration building centers around a public lobby space that serves as an entry to the building and large public gathering place. 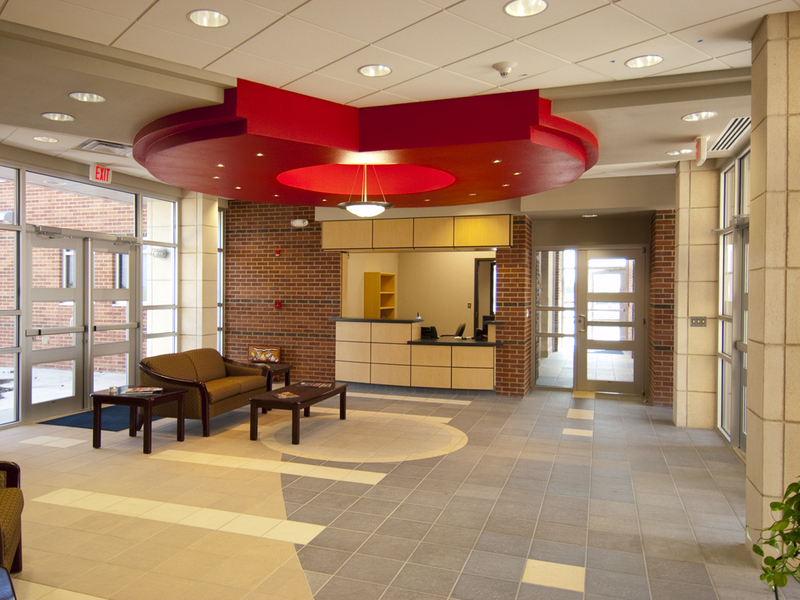 The lobby is framed in storefront to maintain a transparent transition betweeen two solid masonry structures on each side, consisting of the board/training room and administrative offices. 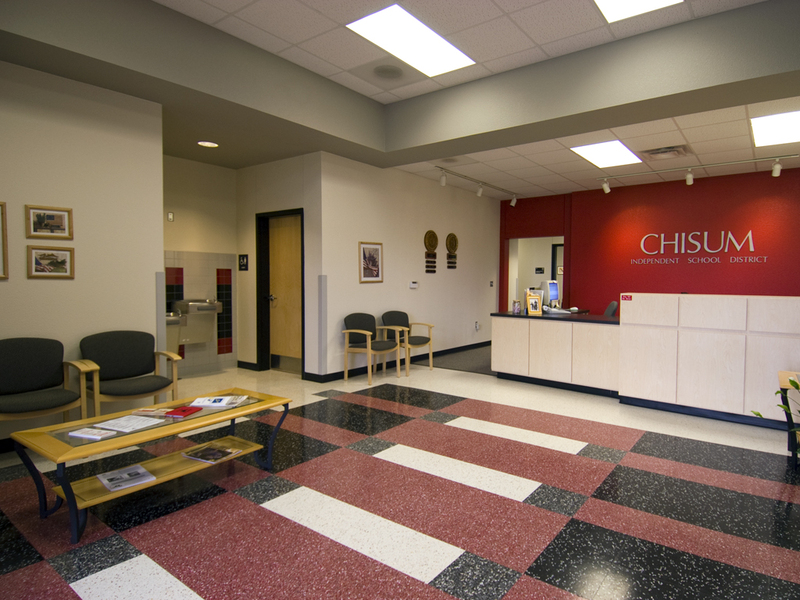 The lobby is framed by a reception desk that serves as the entry to the administrative services portion of the building. 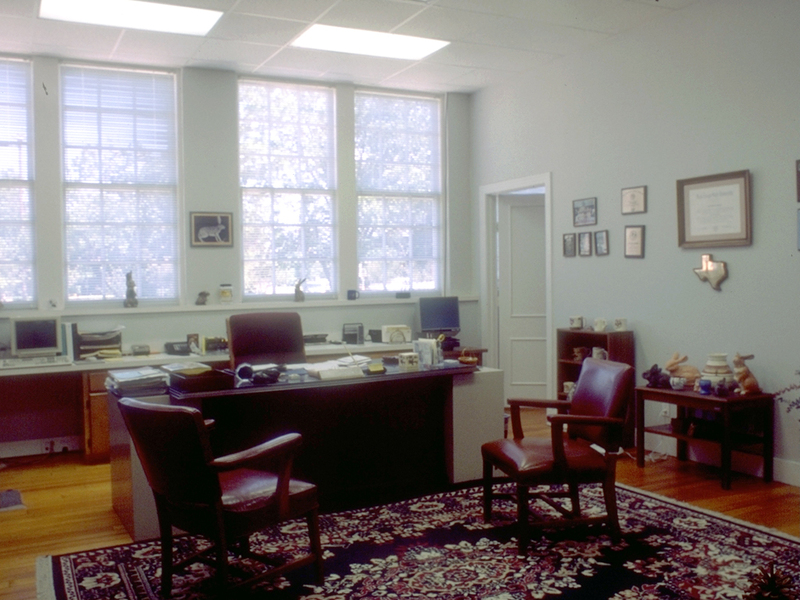 The administration building contains offices, conference rooms, work rooms, mail room, mechanical and technology rooms. This building houses district servers, media retrieval and IP telephone for the entire district based on the Cisco IP system. 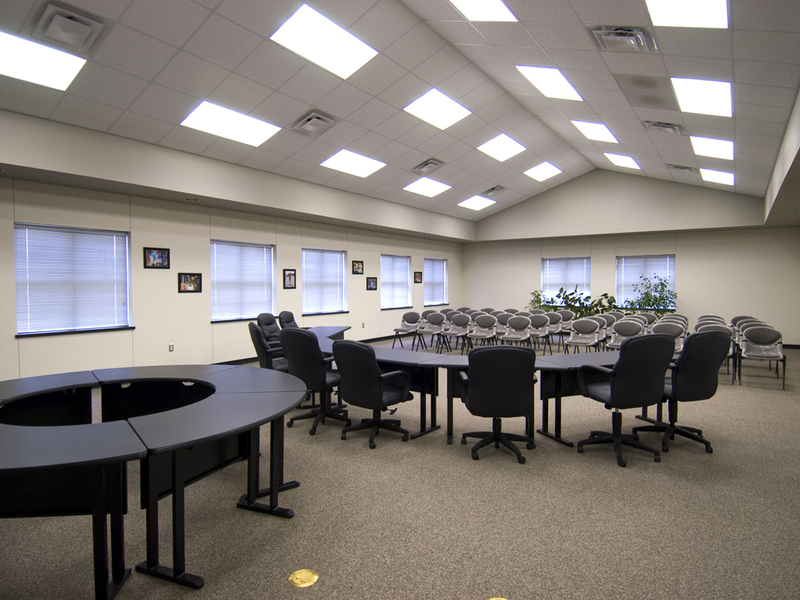 The lobby serves to direct individuals, through transition in flooring and ceiling materials, to the board and staff development room. 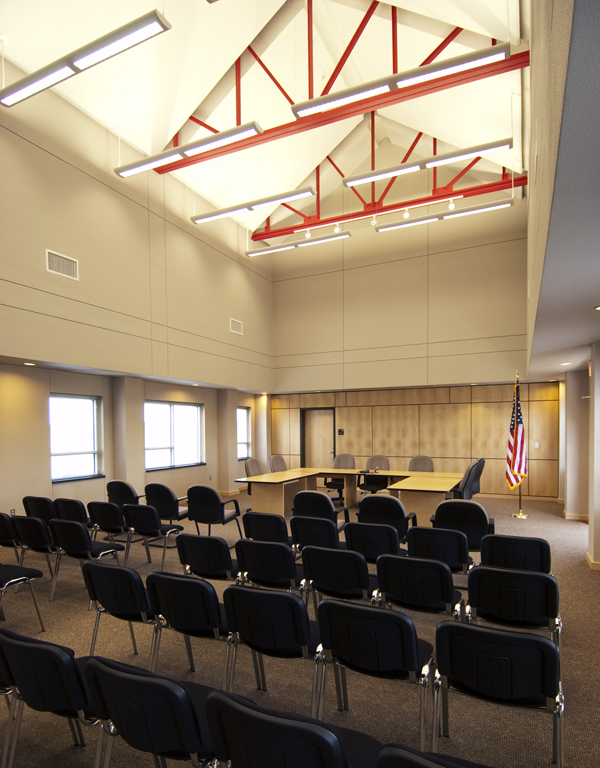 This room is positioned with a skewed axis to the building, emphasizing a hierarchy of building elements and reinforcing views to the new elementary school and existing high school. The interior volume of this room is detailed using exposed, steel trusses, direct/indirect lighting and maple paneling. 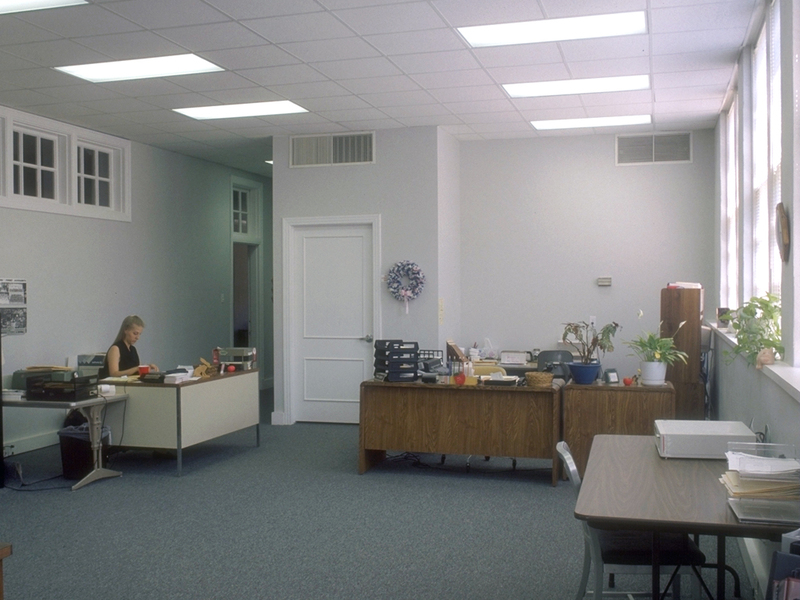 Region 8 purchased an existing office building to be used as administration and training space. 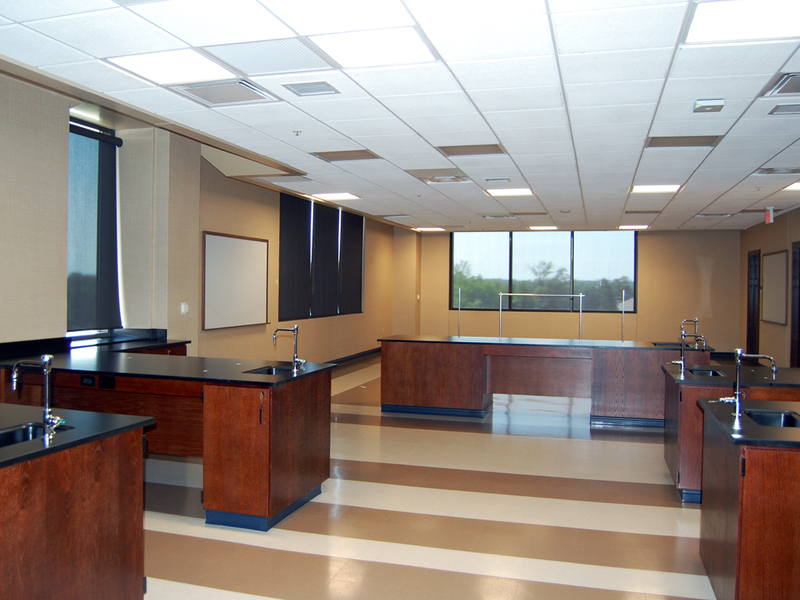 An existing conference space was designated as a training science lab. The space had to be modified to fit this purpose. Walls were rearranged to enclose the space and create a chemical storage room. 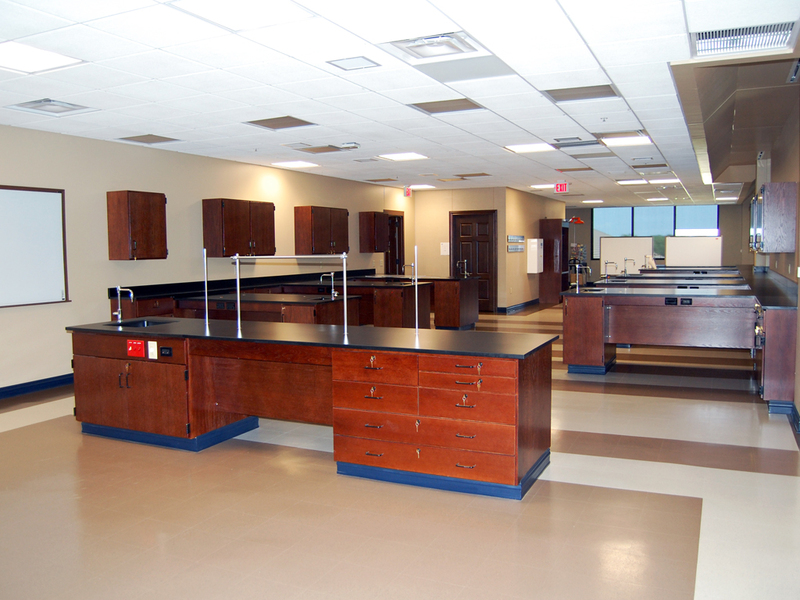 New casework and flooring were installed throughout.